A troffer lighting fixture is a rectangular light that fits into the ceiling grid system used in many offices, retail businesses, stores, and classrooms. The modular design within the ceiling grid is one of the reasons the troffer is popular. It is also a cost effective fixture that does a good job providing lighting where needed. For solid ceilings the troffer can be surface mounted. Troffer lights were originally designed to use fluorescent type bulbs that run the length of the fixture. 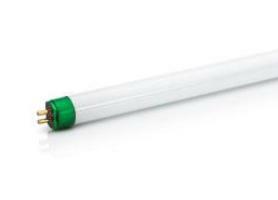 Because of the tubular shape and long lengths these bulbs are often called tube lights, linear lights, linear bulbs, linear lamps, or other similar names. With recent advancements in LED technology the LED linear lamp is rapidly replacing the fluorescent bulb in troffer type fixtures. For most systems the existing fluorescent bulb may be replaced with LED bulb sold as direct replacement bulb without need for any rewiring, assuming the existing fixture meets certain conditions. Otherwise the replacement LED bulb may require some rewiring. 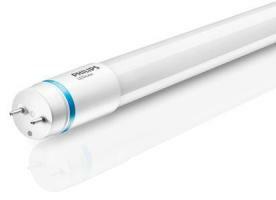 The cost of the LED linear bulbs will be significantly more than fluorescent bulbs. Your investment in LED bulbs will be paid back by energy savings and rebates from the utility company. Alliant Energy offers a rebate on replacement LED troffer lights of $0.40 per watt saved. The wattage saved is determined by subtracting the wattage of the LED bulb from the wattage of the existing fluorescent bulb. For the above example the rebate equaled $6 per LED bulb. 1. The replacement bulb must be ENERGY STAR® or DLC qualified. 2. May be customer installed or installed by dealer/contractor. 3. Must submit application for rebate within 90 days of installation and not later than January 31, 2016. 4. Need receipts for equipment purchased. Contact Alliant Energy or Dealer for complete rebate requirements. Other rebates options for LED Lighting are available. See Alliant Energy website rebate page for Iowa Business. The length of time for payback is highly dependent on usage hours of the system and wattage saved with LED bulbs. As a rough estimate a system used 10 hrs per day for 300 days a year with 40-50% reduction in energy will pay back in 6-8 years. For assistance with calculating payback period for your lighting system please contact us. We are happy to assist you with determining the best solution for your needs and provide information on energy savings and rebates available. Additional information can be found from U.S. Department of Energy fact sheet Upgrading Troffer Luminaires to LED. Watch for more articles in this series on LED lighting. Trivia – The word ‘troffer’ comes from the combination of the words trough and coffer. Posted in Electrical, Energy Savings, Lighting and tagged Fluorescent Troffers, LED, LED Lighting, rebates. ← Solar Energy, Is a solar panel system right for me?